Its haemostatic nature helps the body systems to balance themselves and since the adrenal cortex is stimulated and balanced, the hormonal system of the body is also corrected and aligned. On the lymphatic system it has a greatly stimulating effect and with that helps with detoxifying the body. It has a general diuretic effect on the body and balances the water systems in the body. On the skin, rose geranium oil helps to balance the secretion of sebum and clears sluggish and oily skins, while the antiseptic and cicatrizing properties make this oil an effective aid to help with burns, wounds, ulcers and other skin problems. 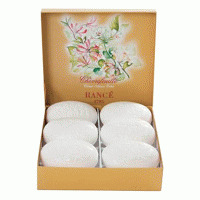 Rance has proudly produced FINE BEAUTY soaps since 1795. The family's closely guarded methods and formulas remain unchanged. 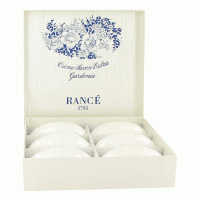 Today, as in 1795, absolute & NATURAL ingredients, chosen for their freshness and purity are used according to strict traditional Rance formulations. SLIGHT innovations over the years have been incorporated for more ACCURATE analysis and controls, however, the hand made / hand wrapped personal attention to each individual bar of soap is still instituted in the MILANO factory today. Rance's triple milled hand made soaps. ENRICHED with natural extracts and cosmetic oils are pure and neutral, thus suitable for even the most SENSITIVE skin types. 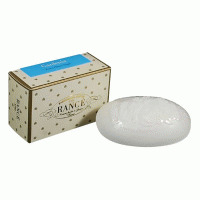 The lengthy maturing period strengthens the properties of these beauty SOAPS while the rich and soft lather gently caresses and CLEANS the skin. Rance soaps are COOKED for a total of six days allowing for three separate sittings where the soap formula is allowed to rest as IMPURITIES filter to the bottom and drain. 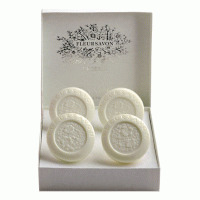 After the third draining period, the soap FORMULA is so pure that no preservative is required or contained in the SOAP. 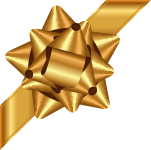 Fragrance is infused into the formula which will last the entire lifetime of the soap. 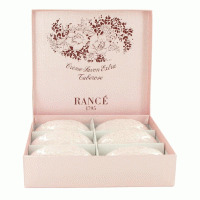 Some choose to also use Rance soaps to scent a room or the Lingerie drawer.